The MSSU Community Service Committee and Staff Senate is once again hosting an Angel Tree for our MSSU students with children who are in need of a little extra help this holiday season. There are 85 children ages 1 month to 17 who would love to have your support. 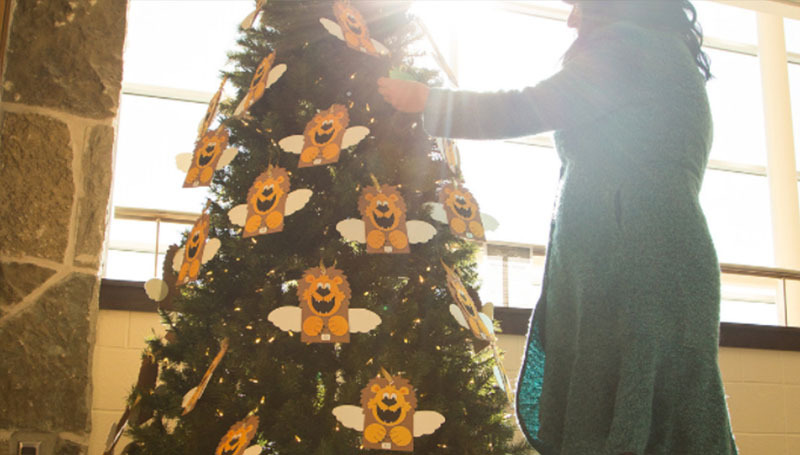 If you would like to adopt one of these Angels, pick an ornament from the Angel Tree located in the lobby on the second floor of Hearnes Hall. · Pick a green ornament from the tree that has the child’s information and wish list on it. · Fill out the corresponding yellow ornament with your information and put it in the drop box by the tree. · Drop off your unwrapped gifts by Dec. 1 to Room 109 of Hearnes Hall Rm 109 with the green ornament attached. · There is also a gift box sitting by the tree for those that want to donate items without adopting an Angel. For monetary donations and other questions, please contact Bethany Newsome at 417-625-3161 or Newsom-B@mssu.edu.